You’ll find critical data being stored on RAID systems primarily because they are devices that are fault tolerant. You can configure the system to keep working even if one of the drives fails which offers a major advantage compared to other storage systems. As good as these systems are, they are not perfect and there may be times which you will require RAID data recovery. There are several ways that the system can fail, but the most common include hardware, software, and application failures along with human error. Application: Here, you will find errors that include corrupted files or databases, locked databases, tables that have been deleted, or applications that cannot load or run specific files. Human Error: This includes unintentional acts such as the deletion of files, reformatting of the drive or partitions, overwriting databases, or deliberate sabotage by employees. You can also include forgetting passwords or overwriting settings. 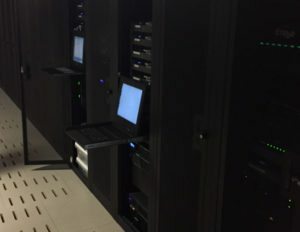 From deliberate sabotage, such as a computer virus, to dropping the device on the floor that causes physical damage, there are a myriad of ways that your RAID system can be compromised which interferes with your ability to access the files. There are steps you can take to minimize the danger, from running up-to-date security systems, keeping the RAID systems in protected areas, and backing up the systems so that if something should occur, the information will also be stored in another place. It should be noted that RAID devices operate differently in some ways as compared to standard data storage you find on computers. This means that you will need to call upon the services of those who specialize in RAID data recovery so that you maximize the chances of having your information saved. If your RAID system has broken down for whatever reason, you can trust the professionals at Data Recovery 47. They have the knowledge, experience, and equipment to pull the data from your RAID systems and preserve it so that it can be restored to you. Having certified RAID data recovery experts means that the best chance to get the data restored is in their hands. In addition to RAID drives, they work with all types of systems so that your data can be located, retrieved, and safely stored for your needs.